As a child enters adolescence, one of her greatest developmental tasks is to individuate from her parents—a necessary process that helps her move from the dependence of childhood toward the independence of successful adulthood. She might become more private, begin questioning old limits and rules, or debate parental instructions. This transition, while normal, is new and therefore awkward territory both for the teen and her parents. Even mildly oppositional behavior can feel like defiance to all involved, leading to parental frustration and teenage resentment and guilt. When one member of a family goes through significant changes, it’s easy to forget that everyone else must change as well. Change is scary and requires a lot of energy, so the most natural response to a significant change in another family member—even positive change—is to resist it. As humans, we crave consistency, predictability, and equilibrium, especially on the home front! So when a teen starts to change and her family resists that change, the result is often conflict. But as long as there is a sense of mutual negotiation and adaptation on the part of the teen and her parents, this kind of conflict and low-grade defiant behavior is normal. Parents whose discomfort with this process reaches a high pitch do well to consult with a family therapist who can help them with strategies for accommodating their child’s growth without abdicating their parental authority. It is true to say that I’ve changed, but it goes so much deeper than that – I have remembered who I am – I have remembered my truest self and, I never would have thought it, but I love who that is. When normal, mild individuation becomes chronic and disruptive defiant behavior, a teenager may be suffering from oppositional-defiant disorder (ODD). ODD is typically caused by a combination of familial, environmental, trauma-based, neurological and/or chemical factors. It sometimes co-occurs with or is misdiagnosed as attention-deficit hyperactivity disorder (ADHD), depression, or other mood disorders. To be diagnosable as ODD, several of these disruptive behaviors must be present on a consistent basis for at least six months. When defiant behaviors are less predictable and more explosive and episodic, an adolescent may be suffering from intermittent explosive disorder (IED). IED is characterized by bursts of rage that may last 10 -20 minutes and often involve aggressive behavior such as fighting or destroying property. A combination of familial, chemical, and/or genetic factors may contribute to this disorder, leading the sufferer to express their frustrations in explosive and disproportionate ways. When a teen exhibits chronic symptoms of ODD along with the destructiveness of IED, she may be suffering from a yet more severe disorder called conduct disorder. The defiant behavior exhibited by an adolescent with conduct disorder may include chronic lying, frequent violent or destructive behavior, stealing, bullying, cruelty to people or animals, breaking serious rules or laws, and/or blatant defiance of authority. Like any such disorder, conduct disorder fits into a continuum of severity, so sufferers vary greatly in terms of the number, severity, and frequency of symptoms. Children and teens with conduct disorder are at a high risk for incarceration and of harm to themselves or others. Often these young people are not bothered by their behavior even though it is profoundly disruptive to those around them. While different disruptive behavior disorders, and different sufferers of the same disorders, may require different treatment, some themes run through each successful treatment plan. The best approach to treating oppositional behavior and similar defiant behavior disorders is a multidisciplinary approach that hits the issue from a variety of complementary angles. For more serious forms of defiance, such as ODD or conduct disorder, a combination of pharmacological treatment, individual therapy, group therapy, parent training, and family therapy is a good idea. Often, this kind of robust multidisciplinary treatment is most manageable in a residential treatment setting. A residential treatment center will be able to tackle any co-occurring disorders your daughter may be suffering from, such as substance abuse, poor social skills, anxiety disorders, or other mental health challenges. Pharmacological treatments may include the use of stimulant medication to treat ADHD-like symptoms and reduce impulsivity, or SSRIs to treat underlying depression. In addition to reducing defiant and destructive behaviors, medication treatment can, in some cases, reduce internal distress enough to allow the teen to better tolerate other therapies, such as cognitive therapy, social-skills training, individual therapy, and family therapy. Regardless of severity, however, involving family members in the treatment process is critical. Family systems therapy, parent training, and parent-child interaction therapy (PCIT) are cornerstones to addressing the struggles of a defiant teen. When parents are engaged in their child’s treatment, their own treatment, and the entire family’s treatment, they greatly increase the likelihood of healing and growth for the defiant teen. 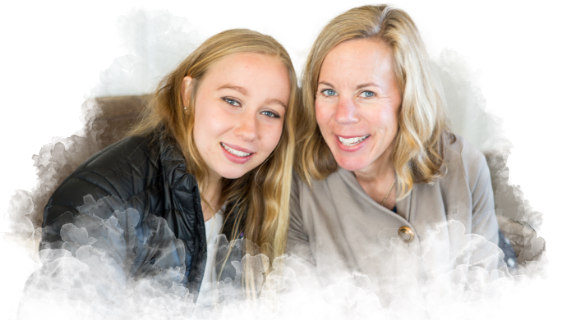 If your teenage daughter is struggling with oppositional behavior, contact us today to learn if our family-oriented approach to ODD treatment is right for your family. Your daughter will learn to manage her oppositional defiant disorder symptoms, heal from any co-occurring mental health disorders, and return home an empowered, healthy young woman.